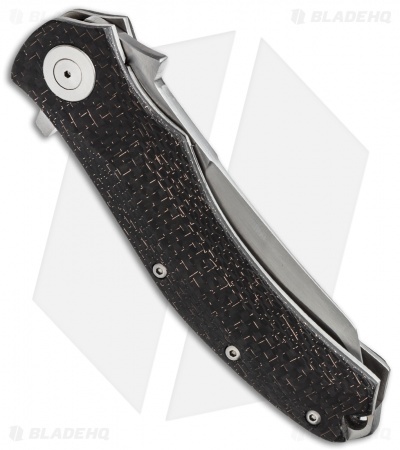 This TC08 Flipper from Kansei Matsuno is a superb folder that showcases both his design and technical skills. 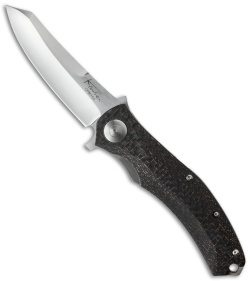 The handle scales are lightning strike carbon fiber with a comfortable contour. It has a titanium liner lock frame and a stainless steel back spacer with a hole for lanyard attachment. The blade is beautifully hollow ground and has a unique clip point and highly usable profile. Great action, solid build. Direct from maker.